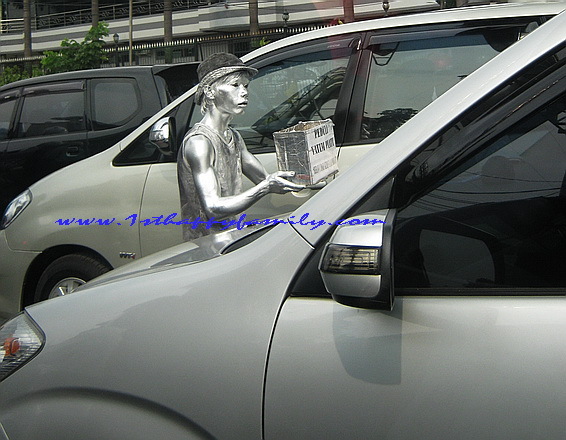 During the traffic jam on a main street in Bandung city (West Java, Indonesia), I saw several silver men at a few spots. They all brought cardboard boxes mentioned only “Care for the Orphan” and came nearing many drivers to collect fund. How strange. I'm glad you shared these shots. Isn't that an unusual sight! Yes, I like the proposition silver men, a great idea and work. Definitely an interesting and different blue showing. As always, your comment makes me giddy! 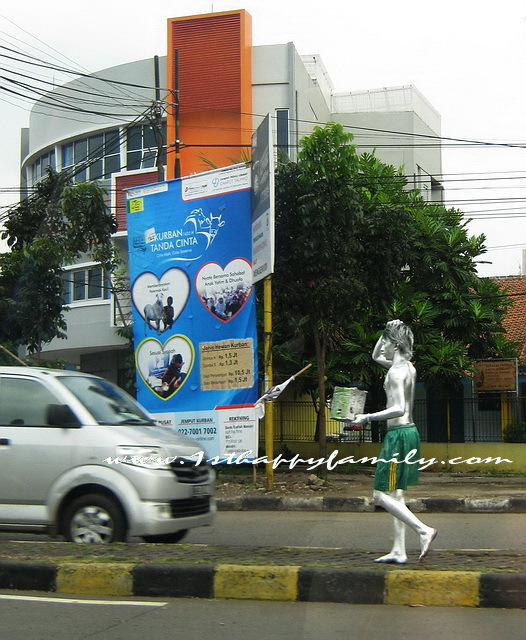 we have all kinds of "fund-raising" here, too...especially at this time of the year until end of December.